Our job is to detect water leaks in your house or a place of business. Leaks are the common problem encountered around any property. It is very hard to find complex and hidden leaks in the property. Leaks can be extremely risky as a single mysterious leak can create unnecessary stress and expense to your property. Older property, as well as new properties can have leak problems too. Poor construction, corrosion, ground movement, irregular cleaning and carelessness can cause unexpected pipe damage and leakage. We are specialized in accurately locating the most difficult leaks without damaging your property. We are a blend of expert professionals and latest technology to serve you professional, affordable, courteous and effective leak detection services. We detect the leak and also clean your premises before leaving the job. We provide our clients round-the-clock water leak detection services from public utility companies to private home plumbing in Melbourne. We are licensed company which uses non-invasive methods. We use meter test water leak detection, which helps us for inspecting the entire plumbing system. We only use the latest technology and equipment known to find where the leak is coming from, even if it’s underground or under the concrete. With the invention of latest technology, we also use ultra sound detectors to search for the leaks in the outdoor sewers and irrigation systems. 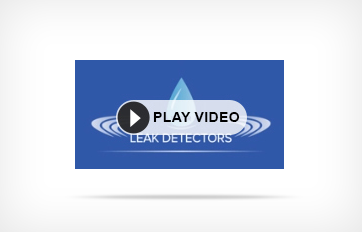 This advanced leak detection method will avoid digging and destruction to your property. Apart from these equipment Hydrogen gas system is also used for leak detection. We ensure that the damage to the property is eliminated or reduced with these methods. Our professional water leak detection services protect long term value of your property. Leak detection secures your property for damage and destruction. We are also specialized in finding hidden water leaks, sewer leaks, spa leaks, blocked pipes, gas leak, wall leaks and floor leaks. Detecting leaks by using latest technologies like acoustic leak detection, infrared leak detection, tracer gas detection and digital leak detection are our specialized skills. Make a best move by contact us or calling us. We are the prominent water leak detectors in Melbourne/Australia.